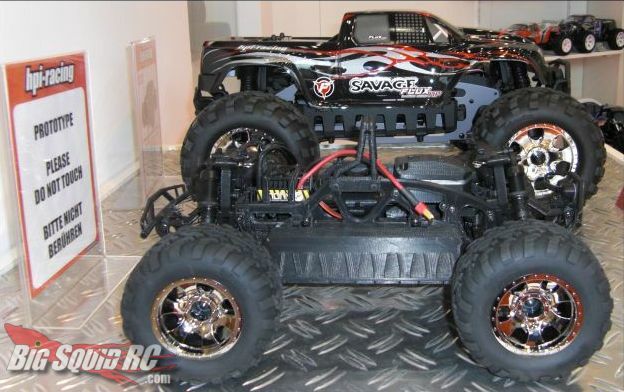 HPI showing “Mini Savage” prototype at Nuremberg Toy Fair « Big Squid RC – RC Car and Truck News, Reviews, Videos, and More! 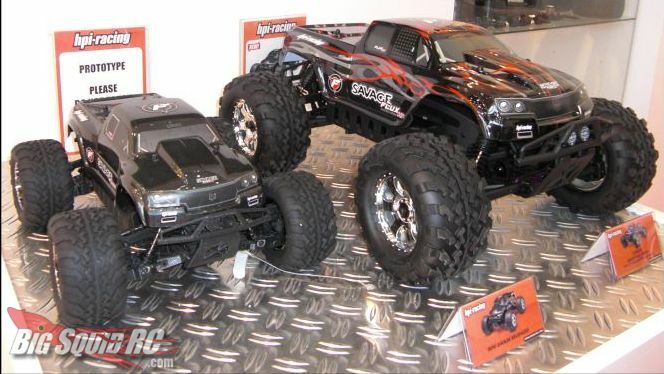 HPI is taking their ultimate basher and scaling it down. Right now they are referring to it as the “Small Scale” Savage. It’s a completely new design for 2011 and features the looks and style it’s big brother. 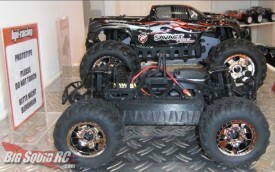 The chassis is that familiar Savage TVP design, the drive train is shaft driven 4wd with metal gears, and the electronics package consists of a 2.4 GHz radio and a Flux brushless motor and ESC. Best of all, the electronics are waterproof. The “Small Scale” Savage is designed to use regular sub-C sized, 6-cell NiMHs or 2-3S LiPos in it’s secured battery box. Being a prototype there’s no word on when it’ll be hitting the street or at what price, but when the official news comes down the pipe we’ll be sure to bring it to you.